The Resident Tourist: Pop Quiz / Cheat Sheet . . .
Last night I was browsing for restaurant ideas for a few fun group dinners I have coming up this week, and I stumbled across TimeOut New York's 100 Best Restaurants, plus a test that calculates how many you've eaten at. I have always thought of myself as pretty well versed in the New York restaurant scene. So I figured I'd ace this test no problem. Not so much. I got a 45 out of 100... that's an F, my first F ever. I was shocked. I took it three times to make sure, and every time it was 45. So needless to say, I was knocked off my foodie high horse last night. But the great news is now I have 55 new restaurants to add to my must-try list! So how about a little pop quiz this morning to start off your work week? Test yourself HERE and see how many of NYC's 100 best you've eaten at. 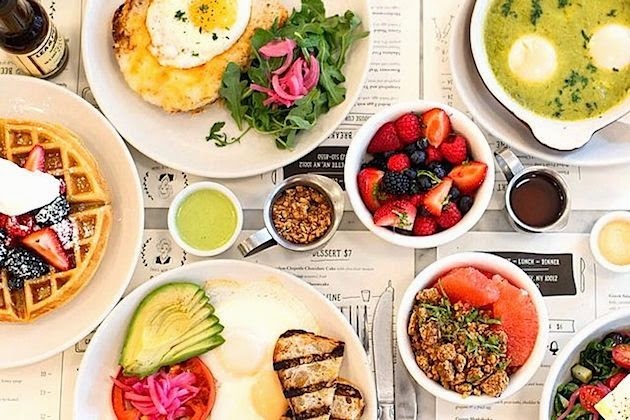 Or if you're not interested in taking the test, consider this the perfect cheat sheet for the next time you're wondering where to dine in NYC - you can't go wrong choosing an option from this list. Happy Monday and Good Luck!